Vinegar has natural antiseptic properties that make the pungent liquid an ideal and inexpensive cleaning agent for household items, including hairbrushes. The caustic characteristics of vinegar can kill bacteria and loosen sticky residue caused by hairspray, mousse and other styling products. 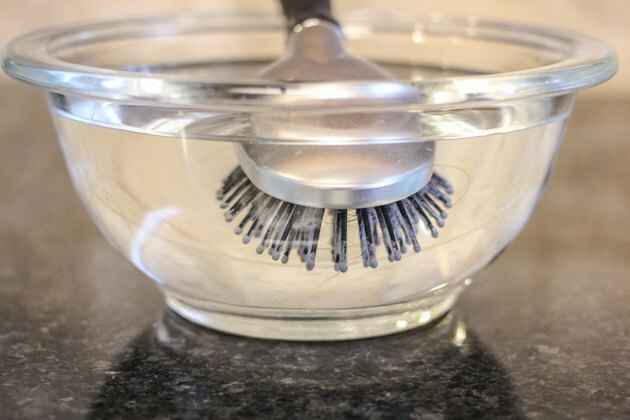 Cleaning hairbrushes in vinegar takes very little effort. 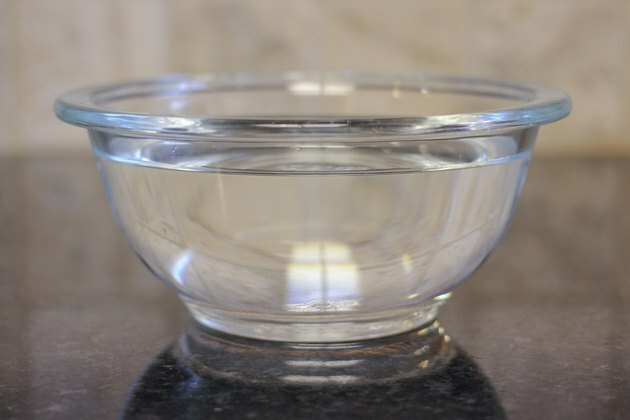 Pour 2 cups of hot tap water and 2 cups of white vinegar into a mixing bowl, small bucket or saucepan. The water should be at least 130 degrees Fahrenheit to kill bacteria, head lice and harmful germs. You may need to heat the solution to simmering if your hot water heater is set below 130 F.
Hold the handle of your hairbrush and quickly dip the bristled end into the vinegar mixture if you heated the vinegar solution. 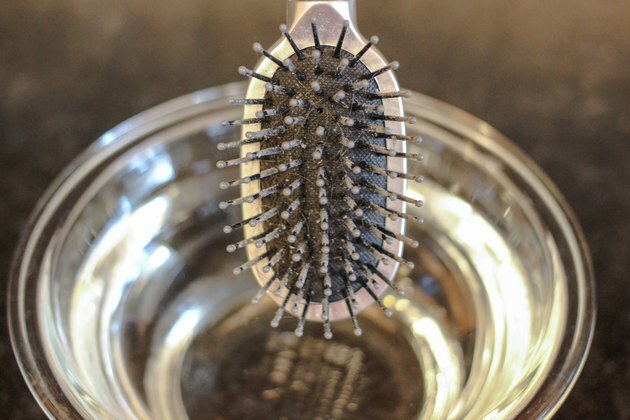 Dip it just long enough to loosen stray hairs, dirt and stuck-on hair products, but not long enough to melt your brush. 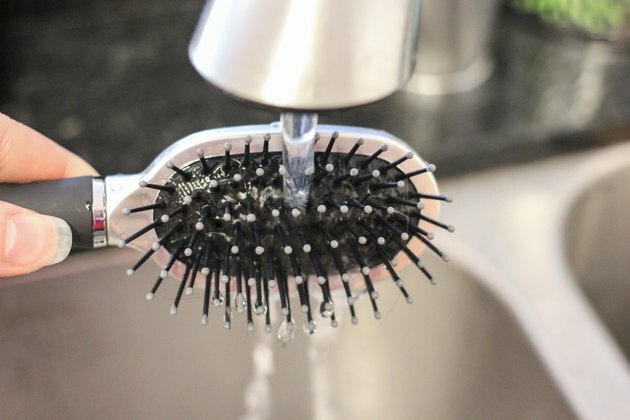 If you used water from the tap, you can safely submerge your brush for several minutes. Take your brush out of the vinegar solution. Remove hairs, lint and other debris with your fingers or a comb. Rinse your brush in water to eliminate any vinegar odor. 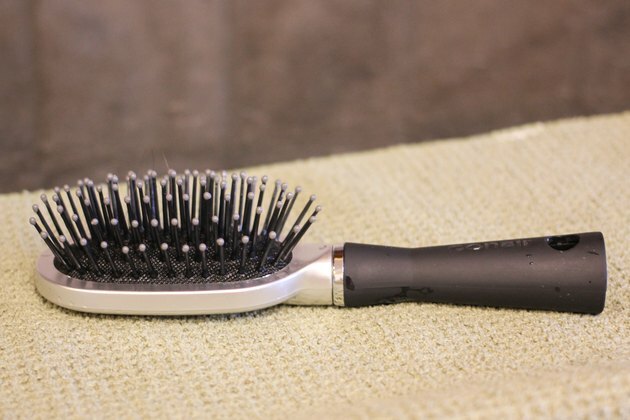 Place your brush on a towel and let it air dry. 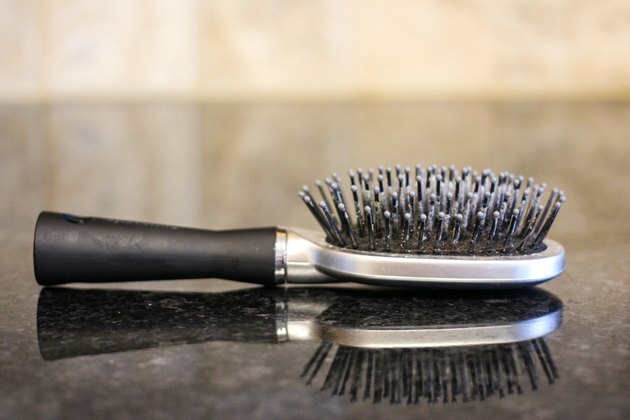 Protect yourself from burns by wearing oven mitts when cleaning metal combs and brushes in vinegar.